Highly detailed fantasy figurine portraying a peaceful scene. 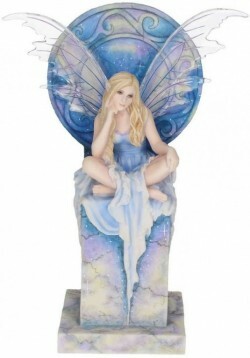 Fairy deep in thought, sat on a marble plinth with stars shimmering from the night sky behind her. Base: 8.5cm x 8.5cm. Height: 23cm (9 inches).